One year ago, the children's book world lost one of its most beloved voices. 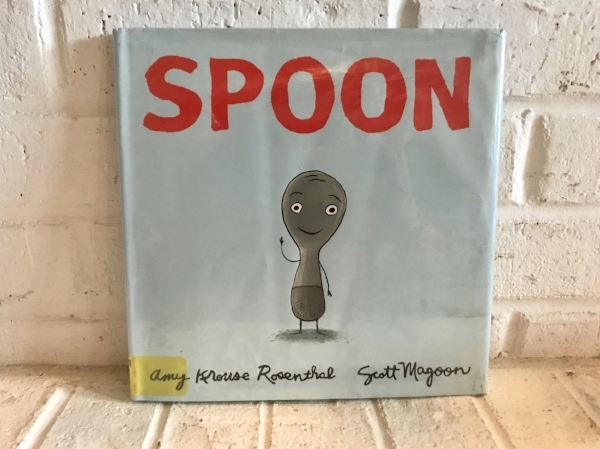 Amy Krouse Rosenthal, who wrote more than 30 books for kids, was such a singular talent, a complete genius, a wordplay magician, and so much more. As a storyteller myself, I must admit that her work both immensely inspires me and also paralyzes me. How is one to write something new when these works of perfection are already out there? But this winter I read her memoir Encyclopedia of an Ordinary Life, which reminded me that each of us has a very particular well to draw upon when penning our stories. And no two stories are the same. Amy Krouse Rosenthal knows how to begin a book. The start of PLANT A KISS is a perfect example: It goes like this. Little Miss planted a kiss. Planted a kiss? Planted a kiss. So full of music. So full of voice. Rosenthal’s opening pages make you buckle your seat belt… then tighten it. PLANT A KISS is concisely packed with this characteristic passion and punch. I marvel at how Rosenthal takes the reader from despair to elation over the potential of a buried kiss: Doubt. Pout. Sprout. SHOUT! SHOUT! In only five words... and one of the words even repeats... we travel so far and gain so much hope. Hyper aware of Rosenthal’s restrained, inspired choices, I get goose bumps every time I read this book – in awe of how effortlessly her text plays on the page. She gives each word exactly the space it needs to breathe, zing and dazzle. There are just 86 words in PLANT A KISS. Yep, that’s all Rosenthal needs to tell a sparkling, captivating and entirely complete story. When reading books aloud to my three girls (often during dinner), I typically sneak peeks to gauge their interest. The last time we read DUCK! RABBIT!, I needn’t be sneaky. My younger two made their impressions known, crawling out of their seats and onto the table for a closer look and listen. At reading time, my girls love shouting out words that the they know are just around the bend. Rosenthal tees up this sort of involvement beautifully in DUCK! RABBIT! Rather than bury differentiating nouns in complex sentences, she smartly places them at each sentences’ end, helping young readers jump in and be a part of the story. Rosenthal’s familiar, conversational tone and expert pacing are on full display in this book, which is a really stodgy, grown up way of saying that her books are SO MUCH FUN! Where some people see simple facts, Rosenthal sees opportunities for personification and humor. At every spin, scoop and turn, SPOON reveals what is essential, meaningful and inherently comical about a utensil we all know so well. Quick and relevant confession: I nearly hate puns. They can be a little too slapstick, obvious and goofy, in my view. Rosenthal’s puns, though? Not so. She places them in just the right place. Not only do they move the story forward, they’re also just sooooo darn clever. I find myself constantly saying, "Oh man, that was good," when reading Rosenthal’s books - and especially so in SPOON. She has a way of extracting every joke possible but without over doing it. The result: All the #perfectpicturebook feels. Feeling "different" is something that every kid has experienced. So what better way to help a child understand punctuation then sending them on an exclamatory journey of self-discovery? In EXCLAMATION MARK, Rosenthal allows her lead character (!) to dwell on what he isn't (simple, uniform, declarative) when all he wants is to be just like his (.) friends. A new friend (?) helps him learn what he is: Celebratory! Enthusiastic! And LOUD! By walking through these distinct differences, Rosenthal builds great conflict... and she also creates a text that’s really instructive. I imagine many teachers use EXCLAMATION MARK when introducing punctuation. Through this text, readers get to see, hear and feel all that this special mark can do, in such a playful and poignant way. My favorite line in the book comes when (!) finally uses his unique talents: It was like he broke free from a life sentence. We've all read fairy tales and are familiar with the basic structure. UNI THE UNICORN AND THE DREAM COME TRUE delivers all that we expect from such a picture book. And then some. This sequel to UNI THE UNICORN is a big favorite in our house. My 3 year old is unicorn obsessed, so that's part of it. But more so, it's due to Rosenthal's lyrical storytelling. Rosenthal's body of work is among my very, VERY favorite in all of picture book-dom, past and present. She has made a huge mark in the hearts of our home and has expanded my view of the possibilities of what a book can be and the light that it can add to the world. Kidlit Greats is one of my very favorite blog features to write. As I spotlight picture book masters who've created dozens of timeless treasures, I also get to introduce my daughters to fantastic pieces of literature - filled to the brim with wonder, captivating characters and unforgettable narratives. It's a tremendous honor to feature Ezra Jack Keats as my latest Kidlit Great. If you are a fan of Keats, or if you'd like to get to know his work a bit better, come along! There's much to discuss. Upon pulling Keats' books from the shelves, I immediately noticed that they are quite petite, by modern standards. This was GREAT news for our crew! My little gals tend to gravitate toward tiny titles, such as Pierre and Chicken Soup with Rice by Maurice Sendak and the Mr. and Little Miss books by Roger Hargreaves. My daughters love stealing private moments with these small books, turning the pages tenderly and narrating what they see in the pictures. Here's my Little Miss L with Jennie's Hat by Keats. When we got our books home from the library, I spread them all out to take in the cover art. I was smitten. Beautiful children. Glorious color. Keats' name, in his signature all-caps. Without even cracking the covers, you can tell: Keats has an aesthetic and narrative perspective all his own. Keats is perhaps best known as the author of The Snowy Day, winner of The Caldecott Medal. It's a superb book that transports you directly into an urban winter wonderland, as experienced by a little boy named Peter, who recurs in a number of Keats' books. The Snowy Day provides many examples of Keats' genius. I'll take you on a walk through this title, as well as several others, to illustrate the beauty and power in this Kidlit Great's work. Many of Keats' picture books take place in the heart of the city. The architecture and everyday objects that come into view layer to form a very real, very vibrant world. Keats' representation of urbanity doesn't soften or romanticize. Instead, we experience city elements naturally, as they factor into our main character's thoughts and decisions. In The Snowy Day, we see fresh snow from young Peter's perspective - through the grid of his apartment window. Soft white powder tops the varied heights of near and distant high rises (very different from what my daughters see, when they look out their front door after a snow). When Peter steps out into the cold, he meets a giant pile of white stacked high to clear the way for cars and pedestrians (an accurate representation of a city practice - I can attest, as a 10-year Chicagoan). Keats uses a light and poetic touch when incorporating these hallmarks of city living. Keats tells the stories of children. Plain and simple. He isn't heavy handed with morals either. Through his characters, Keats portrays real-life challenges and shows how characters deal with and overcome them. In A Letter to Amy, my favorite of Keats' books, Peter wants to invite a little girl to his birthday party. Even as he heads out to the mail the letter, he finds himself worrying what his male friends will say if a girl attends the party. Peter's dilemma is a perfect example of how Keats tells stories that are relevant and personal to all small children. My kids (ages 2 to 5) instantly related to the problems faced by Peter and Keats' other wonderfully real characters. Can we just pause for a minute to take in this spread? The pink, the orange, the yellow, Peter's beautiful skin, his patterned shirt. Every single piece of color, every element of texture, is heaven. While examples of Keats' masterful, emotional use of color are found in all of his books, I found the hues in Whistle for Willie particularly moving. Keats' illustrations often present an abstraction of true color, but the hues Keats selects purely convey mood and add dimension to our understanding of city life. Collage is not super common in the picture book world, but Keats does it often... and brilliantly. In the laundry line scene (above) in Maggie and the Pirate, Keats' clothing cut-outs somehow are able to convey both stiffness and movement. Throughout his work, the layering and interplay of collaged elements have whatever effect Keats intends. Sometimes, his juxtapositions convey discomfort and danger, while other times familiar textiles provide immediate recognition and comfort. In my research of Keats, there was much to read regarding the diverse characters found in his work. In the above scene in Jennie's Hat, we see a pew filled with church goers of different races and ethnicities. Even today, more than 50 years after Jennie's Hat was published, I still find this spread refreshing in its subtle celebration of differences. Keats' character Peter (present in seven of his books) was inspired by a child pictured in Life magazine in 1940. The Ezra Jack Keats Foundation describes Peter as bright, imaginative, fun-loving, quiet and thoughtful. That Peter happens to be an African-American boy is simply a reality of the world Keats built. But in the larger popular culture conversation of the time, Peter's impact as a literary hero was enormous. Keats' inclusion and celebration of diverse characters continues to inspire children and adults alike today. We learn the most about characters when we see them respond to unexpected circumstances. Keats always delivers this. Through his characters' actions, we better understand where they are coming from and where they are going. My girls were VERY worried about Peter and Archie in Goggles!, a Caldecott Honor Book. The boys discover a pair of old motorcycle goggles and decide to take them back to the stoop for play, when suddenly "big boys" appear. Most kids are scared of, and intrigued by, the same things, and "big kid" are a little bit of both. They are cool and smooth, but also bigger and stronger. If they want what you have, you can pretty much assume you're about to lose your coveted item. My daughters held their breath the entire book, until Peter and Archie escaped. Keats had them hooked. He gave them a world they'd never seen, delivered an emotional experience they'd never had, and showed them that kids can conquer fears and challenges. For all of these reasons and more, our house is now full of Ezra Jack Keats fans. Be sure to catch up on my previous Kidlit Great features, linked below! And if you have a picture book author that you'd like to see featured in a future Kidlit Great post, make a nomination in the comments section below. Thanks for reading! As you look up to the sky, taking in the fireworks this 4th of July holiday, a famous phrase from a famous book may come to mind. Goodnight moon. I'm excited to feature the author who put those words to paper. My latest Kidlit Great is the prolific, legendary American author Margaret Wise Brown. Whether you have 10 picture books in your house, or 100, chances are very good that you have Goodnight Moon. The timeless classic has sold an astounding 48 million copies, at the rate of about 800,000 new copies a year, in recent years. Goodnight Moon never quite makes it back to the bookshelf in our house. It's more of a nightstand fixture. Like a comb. Or a brush. Or a bowl full of mush. Our family has gotten so much joy out of the Kidlit Greats blog series (authors recently featured include William Steig and Maurice Sendak). It's especially fun going beyond an author's most well-known titles and into the "deep tracks" of their oeuvre. 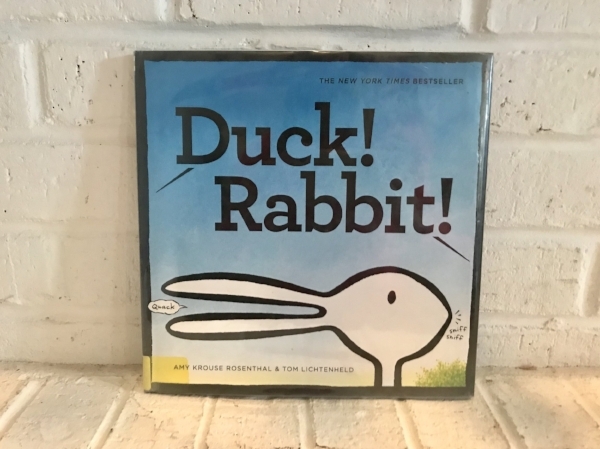 In preparation for this post, we attempted to borrow all of the Margaret Wise Brown books on the shelves of Geneva Public Library. Oh my word. Not possible! In Brown's short life, she wrote more than 100 picture books. (Sadly, she died at age 42 of an embolism after suffering from appendicitis.) GPLD had dozens of Brown's titles. We checked out as many as we could carry. Here's the bounty we managed to get home... in two canvas book bags. The Golden Egg Book is a precious and ornery tale about a soft little bunny who discovers a mysterious egg. What could be inside? A boy? Another bunny? An elephant? A mouse? Brown has such a talent for addressing her young readers' questions just as they are having them and enabling her protagonists to problem solve exactly as a child would. The bunny does everything he can to rouse whatever is inside the egg. He starts off with gentle nudges and then progressively gets pretty aggressive, rolling the egg down a hill and throwing a rock at it. One of my favorite parts is Brown's description of the bunny's rock strategy: But because he was only a little bunny, it was a very little rock and he didn't throw it very hard and the egg didn't break. The logic is so innocent, and the run-on phrasing feels exactly as how a child would recount such an escapade. Curiosity and friendship are at the heart of this book, two themes very apropos for children making their way into new situations virtually every day. Margaret Wise Brown is widely heralded as a writer who truly understood a child's psyche, and this is clearly evident in The Golden Egg Book, part of the Golden Book collection (specifically a Big Little Golden Book). In The Important Book, a striking and witty delight, Brown distills the meanings of ever-present nouns through poetry. Each poem begins the same way: "The important thing about a ___ is that it is ___. " Brown's descriptions are succinct but loaded with vivid sensory detail. The apple is a great example of this style. (You bite it, and it is white inside, and the juice splashes in your face). You'll notice that the typeface changes frequently too. As a result, each noun is prescribed it's own unique personality. When you're a child, each day is filled with discovery, and often you're inundated with information. Sometimes, kids just want to know: What is important? Brown cuts through the clutter and provides the basics, but her descriptions aren't limiting. The simplicity and clarity actually add depth and new meaning to each word. I hope your 4th is noisy, in all the right ways! If you enjoyed this post, be sure to check out the other Kidlit Greats noted earlier in the post: William Steig and Maurice Sendak. I'd also LOVE to know the names of your favorite children's book authors. Please share in the comments below! Fans of acclaimed children's book author Maurice Sendak (1928 – 2012) have been celebrating the late author's June 10th birthday on social media this month and reflecting on the impact of his work. As a child, I was always aware of Where the Wild Things Are, but it wasn't a book on the shelves of my childhood home - where Dr. Seuss and Shel Silverstein reigned. We were instantly taken with Pierre (Sendak's cautionary tale on the repercussions of 'not caring' about anything) and Chicken Soup with Rice (a sweet book about how this very particular soup can be enjoyed in every month of the year - such a funny premise). I loved the unique and light-hearted narratives, gorgeous palettes and illustrative genius. My little girls enjoyed carrying the books around and treasuring their tiny covers and pictures. The books were just their size (far smaller than traditional children's books) and more interesting than your typical board book fare. If there's something that Sendak wants to tell you, he doesn't beat around the bush. His books hit you hard with perspective, and they drive home very specific moral questions. Two books emblematic of this are We Are All in the Dumps with Jack and Guy and Bumble-Ardy. My girls didn't connect with either of these, truth be told, but they sure got momma's attention. There was so much to process and digest within these pages, even (or perhaps, especially) at the adult level. Illustratively, Sendak's work in these books is at times garish and challenging to take in. You might call his pictures strange or scary. Odd or provocative. But one thing is for sure. Sendak makes you think and feel. Sendak wrote three of his books as a dream-state trilogy: Where the Wild Things Are (1963 - winner of the Caldecott Medal), In the Night Kitchen (1970 - a Caldecott Honor Book), and Outside Over There (1981 - a Caldecott Honor Book). Each of these books is E-X-C-E-L-L-E-N-T and deserving of an individual book review spotlight. But for this post, I am going to focus on In the Night Kitchen because my girls LOVED IT. It was their fave Sendak book. In this tale, a boy named Mickey awakes in the night and falls into "the night kitchen," where bakers are busy making a cake. Mickey ends up in the cake, flying the cake and, ultimately, saving the cake. ...creating images and ideas that stay with you forever. A parting thought: As I worked up this post, I encountered the viewpoint that Sendak's work is 1) weird, 2) inappropriate and 3) too "out there" to resonate with kids. Sendak's taste and style may not be to everyone's liking. But his books were to our liking. Even when the narratives got dark, the girls never seemed scared or troubled. They thought the wild things were silly. Naked Mickey simply made them laugh. And they wanted to know more about his goblins and creatures. Some books affirm and comfort our children and create feelings of safety. Other books encourage them to confront their world and question it. Sendak books do the later, and I'm grateful for it. Welcome to Kidlit Greats! This is where I share the work of a picture book master with my daughters, then blog about our experience. Last week I introduced my three little ladies to a wide range of titles from Kidlit Great William Steig (1907–2003). If this name doesn’t ring a bell, the moniker of one of his famous characters surely will. Steig’s Shrek! inspired the popular DreamWorks Animation movies featuring the voices of Mike Myers, Cameron Diaz and Eddie Murphy. As is true with most adaptations, the Shrek movie and its sequels (though loads of fun) don’t begin to capture the literary and illustrative genius of this highly respected creator. While Steig’s picture books for very young readers are excellent, his longer narratives are absolutely spectacular. Just one sentence into these books, you are hit with a quality level so high that you simply sit back and allow yourself to be taken on a ride. You know you are in expert hands. I hope you add a few of William Steig's exceptional books to your family's summer reading list, and that they bring you the joy that they've brought us. Happy reading! Nothing warms my heart, or gives me more joy, than watching my youngest girls independently pick up a book and explore it. And my eldest daughter, Elsa - while primarily nonverbal - consistently chooses "Books" as her preferred activity in her PODD communications book. What can I say? We are a house of readers! "But sometimes when you're different you just need a different song." "On Saturday he ate through..."
"Gaston always worked the hardest, practiced the longest, and smiled the biggest." Hope you enjoyed these selections - I bet some of them brought back memories! If a few are new to you, I encourage you to check them out. You will LOVE them. Until next year, Happy #ChildrensBookWeek to all!